Important: We are, without exception, unable to re-home Staffies or Staffordshire crossbreeds. Please consider carefully whether your dog actually needs re-homing or whether you need guidance and your dog needs training. We recommend you consider seeking training advice from the Association of Pet Dog Trainers (APTD) who use positive reward-based methods. To find a trainer local to you please click this link. The behaviour of your dog can be improved with Positive Reward-Based Training. Please check out the video for more details on this type of training. For an excellent article on Positive Reward-Based Training please visit this link. We struggle with the ever increasing demand for re-homes and we are not able to take in every dog, however difficult the circumstances might be for you. With this in mind if your request is urgent I am afraid we cannot help, we never sit around with empty spaces: we are always full. We run a schedule of dogs waiting to come in so would have to put your dog on a waiting list. Waiting times vary according to the time of year. 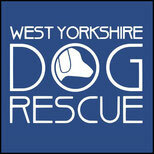 For a list of other rescue centres who may help, click here. Because we use foster homes not kennels, we are limited by what dogs the fosters can cope with. We can only take small to medium dogs and unfortunately we can not re-home Staffies or Staffordshire Cross dogs. * Please note we cannot help you if you are not the legal owner of the dog in question. ** Please also note that if the information given is in anyway incorrect we have the right to hand the dog back at our convenience. Please keep in mind that finding a dog a new perfectly matched home isn't easy; it costs time and money and takes a lot of effort. Your dog may have vet bills associated with it prior to re-homing, for example if you have not neutered or vaccinated it and kept up with treatment for fleas and worms. It may have dental problems, ear mites or an eye infection. The rescue centre is managed on a voluntary basis and totally dependent upon donations to keep running. We cannot take on a new dog and the associated vet bills without contribution from its current owner. We therefore will ask for a £200 donation toward the costs of keeping the dog and the size of the donation will depend upon the dog's needs. This policy is in line with all the major dog rescue centres throughout the UK.